PLA has excellent biodegradability and can be completely degraded by microorganisms in the soil within 180 days after disposal to generate CO2 and water, which does not pollute the environment. The plastic classification of polylactic acid is 7. There are variety disposal methods for waste polylactic acid products, such as natural decomposition, composting, and incineration. High safety, can package food, PLA can contact the skin for a long time, high antibacterial activity, can be used to package fruit and fresh food. It meets the requirements of environmental protection, has good transparency, good mechanical strength, strong tensile property and ductility, and can be processed by all plastic processing methods. Here you can find questions that customers often encounter. 1What are the characteristics and advantages of PLA? PLA is a biodegradable materials, unlike ordinary petrochemical products, the source of the material is endless and also an environmentally friendly material, it reduces the dependence on petroleum which is a limited resource, at the same time, it also indirectly reduces greenhouse gases emitted from processes such as crude oil refining. Therefore, it is energy saving and carbon reduction for the environment, safety and health for the users. 2Will PLA products naturally decompose under normal conditions? No, PLA products will be decomposed in a specific environment. It can be used at normal temperature like ordinary plastic products, however, since PLA is not heat-resistant, it is recommended to be used PLA products under the temperature of 50°C. 3What are the benefits of using PLA plastic? We all know that the world petroleum reserve will eventually run out one day. Petroleum-based plastics are derived from petroleum and will become more difficult to source and manufacture over time. Since PLA is derived from natural resources, it can be continuously generated. 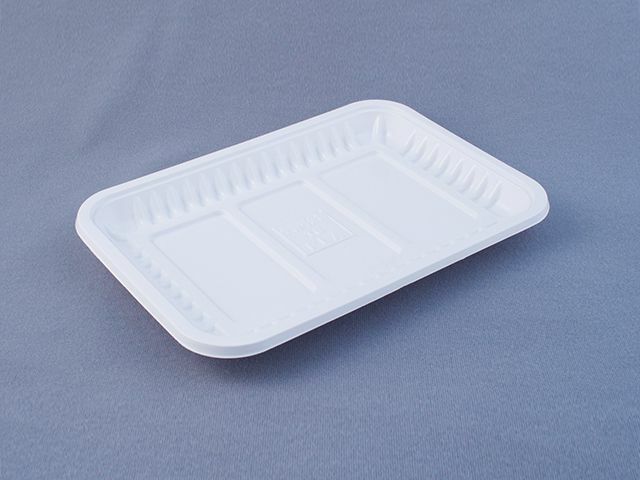 Compared with petroleum by-products, PLA plastics have some important eco-efficiency, for example, PLA will naturally decompose in a controlled environment and return to earth, therefore it can be classified as biodegradable and compostable material. 4Will PLA produce toxic gases when incinerated? We have been warning that dangerous chemicals may be released when traditional plastics are incinerated for decades, PLA products are made from pure natural decomposable materials, and the raw materials are extracted from starch-containing plants, there will no toxic chemicals, smoke and any odor even it is burned. Although PLA products need to find suitable composting facilities to decompose, eventually, they are sent to incinerators for incineration rather than composting facilities. When it is incinerated, they do not release toxic gases. 5Is it safe to use PLA products in microwave oven? PLA transparent products have a heat resistance of about 50 ° C. Therefore, PLA products are more suitable for cold drinks, PLA is not suitable for use in microwave oven. 6How will the PLA be decomposed? It can be naturally decomposed into carbon dioxide and water under composting conditions. It reduces the amount of CO2 emissions and solid waste in the process of petrochemical products. 7Will PLA products be decomposed in the soil? The decomposition condition of PLA : in a composting environment, containing a suitable temperature (above 60 ° C), 90% humidity, oxygen, and microorganisms, the product can be completely decomposed within 3 to 6 months. 8Will it become worldwide food shortage or price by using corn to make raw materials? As long as there are starchy crops that can be used to extract PLA, such as potatoes, cassava, wheat, etc., no such situation has happened so far. 9Will PLA be more expensive than plastic? At current petroleum prices, PLA is more expensive than general-purpose plastics, such as PP, ABS, PE, PET, but cheaper than special plastics or functional plastics, such as PC, Nylon, etc., and PLA is an environmentally friendly material. 10Will environmentally friendly product such as PLA, which uses corn to make decomposable raw materials, cause worldwide food shortage problem? The raw materials of PLA not only be made by corn. Basically, all starch-containing plants can make such raw materials (for example, cassava, sweet potatoes, potatoes, etc.). Most of the world's corn production, the corn is used to make livestock feed, and the proportion of human consumption is rather low, so there will be no problem of food shortage. 11What are the disposal methods for discarded PLA products? Landfill, compost, incineration, and recycling. 12Is PLA product belongs to plastic in the resource recycling? In the internationally recognized recycling label, belongs to No. 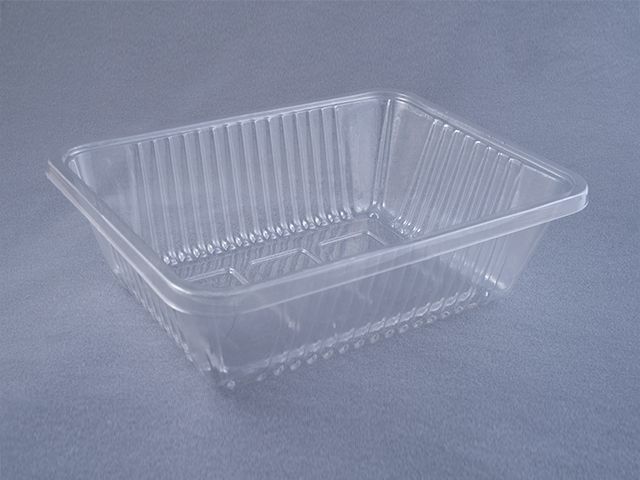 7 raw material (OTHER), and cannot be recycled with other plastic products, must be recycled separately. PLA belongs to category No. 7 OTHER, and has the word PLA below. 13Does the PLA product have the characteristics of acid and alkali resistance? Yes, PLA products are acid and alkali resistant substance. 14Is PLA product belongs to green product? Yes, PLA products can be reused and are harmless to the healthy, and will not cause environmental pollution. 15Why is PLA also known as “Corn Plastic”? Because PLA is made from corn starch, it is also called plastic corn. 16Should PLA product be thrown into the recycling bin? It is highly recommended not to throw into the recycling bin.